When you think of infertility, what is the first thing that comes to mind? IVF? Menopause? Possibly even ovarian cancer? Like most of us, when the topic of fertility is raised the natural assumption is that it’s predominantly a female issue. Here at The Hewitt Fertility Centre, we are trying to change that perception and raise awareness for male infertility - something which, according to reports, can affect almost 20% of men at one time or another. Towards the end of 2017, an annual report by Leeds Beckett University, in partnership with Fertility Network UK, found that male fertility issues are not just a physical concern, but can be very damaging to the general wellbeing of those involved. Forty-one men who had experienced fertility issues responded in answer to a series of open ended questions on how they were affected. An overwhelming majority (93%) of those who volunteered to take part, reported that their sense of wellbeing had been negatively affected. Common feelings were of guilt, anxiety, worthlessness, anger, jealousy and envy. Relationships with partners, friends and families were also impacted. Some kept their personal problems hidden from their employers which sometimes led to tension when hospital appointments were required. With access to NHS funded fertility care patchy across the UK, a significant financial burden was also felt which added to the emotional strain. Within the fertility clinic, some felt that the focus was more on the woman and they felt relatively unsupported. The survey findings show that fertility clinics and society need to re-evaluate their perceptions on how well men handle the stresses associated with infertility. The report highlighted a concern that is still very much overlooked in society and something that we all have an obligation to address. 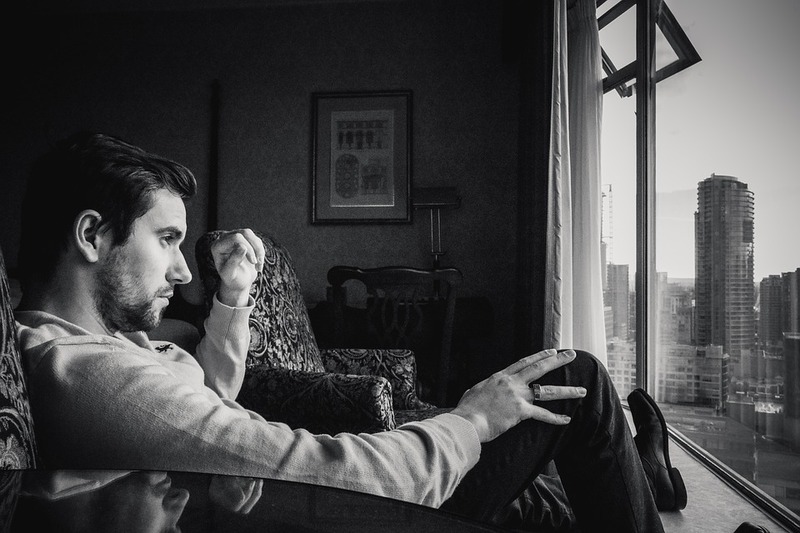 The stigma surrounding male infertility is still a hurdle many men struggle to overcome and feelings of worry are common - some men even report feelings of depression and anxiety. Impact on relationships – Men reported feeling guilty about fertility issues and how they had ‘let down’ their partners. Impact on work and finances – While the cost of treatment is one factor, a less obvious effect uncovered by the report was that of work based relationships and interactions. Men reported feeling ‘too ashamed’ to discuss it with their colleagues and employer; one even ended up losing his job due to stress and anxiety related problems. Experience of healthcare professionals – To gain a full understanding of the scope of male fertility issues, the study involved interviewing health care professionals who had interacted with men struggling with fertility issues. They found that many felt marginalised as so much of fertility treatment is female focused. Accessing support – Many men interviewed for the report had not sought support services. However, more worryingly, those who did found that the support offered was overwhelmingly directed towards women. Here at the Hewitt Fertility centre, we offer support services for men and women, as well as having one of the biggest Andrology departments in the UK, specialising in helping men overcome fertility issues. Our team of highly trained and devoted clinical and counselling staff can ensure that, while you may be experiencing very common feelings of anxiety or depression, we promise that we can help in some way. For information about male related fertility issues, visit our website or read additional blogs on the subject. Alternatively, Fertility Network UK has a wide range of contacts and support networks available for those who may need it. Lastly, our own counselling team are available for consultation, get in touch to book an appointment on 0151 702 4121.